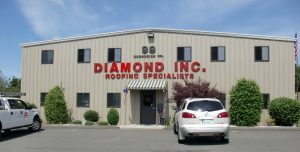 Reviews - Diamond Roofing Specialist Inc.
We were very pleased with professionalism of your workers. Mark, salesman generated trust by introducing the head of his team that would be doing the work. The end results exceeded my expectations and I would definitely recommend to others. Everyone who saw your team working commented on their professionalism, tidiness and the wonderful job they did. The roofers on site were friendly and professional. Thank you for answering all our questions and accommodating last minute decisions. The roofers on site were friendly and professional. Workers were excellent and respectful. The salesman was very professional. I was very happy with everyone. They did a great job and everyone was very friendly. Thank you Mark, great Job. We’ve been "Diamondized!" And we’re thrilled we were! We love our new roofs. The end results “exceeded” our expectations. We would recommend Diamond Inc. to anyone and everyone. Our utmost thanks and sincere gratitude to Mark and to Bruce, and the rest of the guys – they are truly the greatest. It’s a pleasure to know these guys. And this is for Bruce… We’ve been “Diamondized!” And we’re thrilled we were! Thanks to everyone.